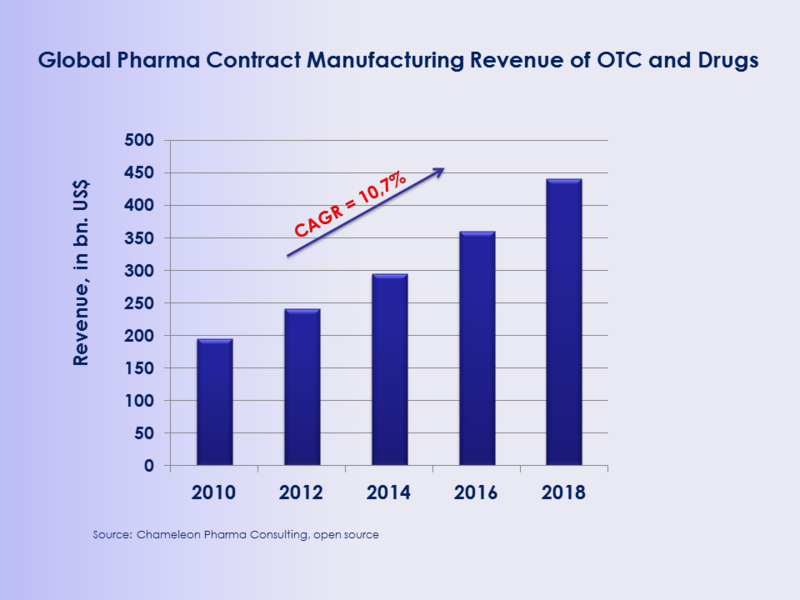 For the global Pharma manufacturers to stay competitive and strong in the market, it is important to stay up-to-date with recent trends and changes in the Pharma world. More and more manufacturing contractors are building new operations in Emerging Markets like India, China, Argentina, South Korea and, more recently, Malaysia. Driven by margins, pricing, regulatory and QC pressures in developed markets, this market segment is becoming more competitive. The option to outsource certain projects to lower-cost Asian regions, especially for producing large-volume products, might be the perfect solution for Western manufacturing contractors and Pharma companies. However, as regulations are changing and getting more difficult to pass, manufacturing processes are becoming more complex. This forces pharmaceutical players to develop longer-term and more beneficial strategies and agreements. Our CPC Consultants can save your budget by providing you with accurate market analyses of the best-fitting local and international providers for you. – We have used our Network to help European contract manufacturers get established in the US, Asia, Latin America and the CIC/CEE region. – We conduct strategy processes with Contract Manufacturers in order to help them generate new business, streamline their portfolios and develop country focus strategies.